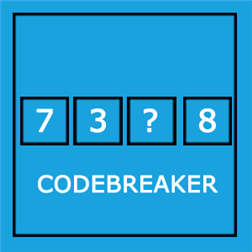 CodeBreaker is a cool game in metrodesign to improve your logic skills. You have to crack as many codes in a view minutes as you can. For each code you have 20 attempts to crack it. If you crack a code, you’ll get points for it. After the time is up, you’re ranked against all other player of the round. Try to be the best and challange the hole world in CodeBeaker!